Behaviorial economists are gaga for the idea of “nudges”–tiny little hacks that can help people make better decisions. For example: Making 401k’s opt-out rather than opt-in can wildly increase savings rates. Simply moving a salad bar can increase veggie consumption by 250%. 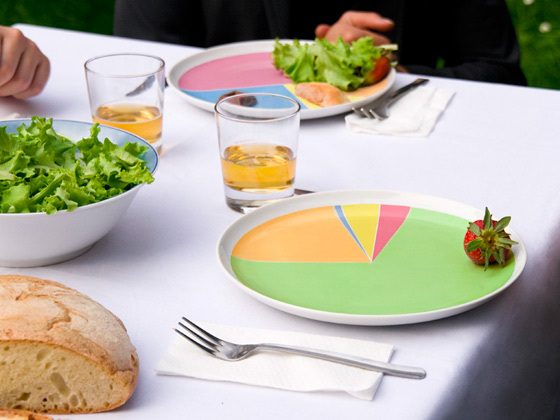 So it makes sense that a dinner-plate design could help us eat a far healthier diet. 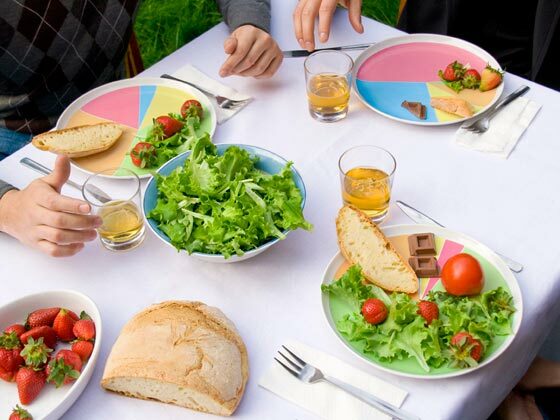 “Wheel of Nutrition” was designed by two recent design-school grads based in Milan, Rui Pereira and Hafsteinn Juliusson, for HAF, a small company run by Juliusson whose other products include jokey items like the grass knuckles and “chips” made of flavored (zero-calorie) paper. 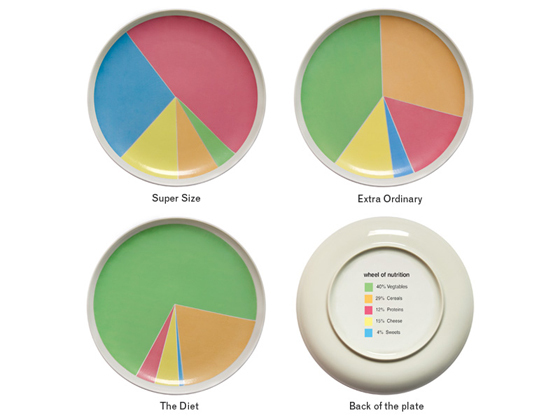 Unfortunately, you’ll note that except for the “Extra Ordinary” one, the plates aren’t actually designed with much serious intent–the proportions don’t actually show the real nutritional guidelines we should all be following. And the pie chart design doesn’t exactly help things (when’s the last time you had a steak shaped like a triangle? ).